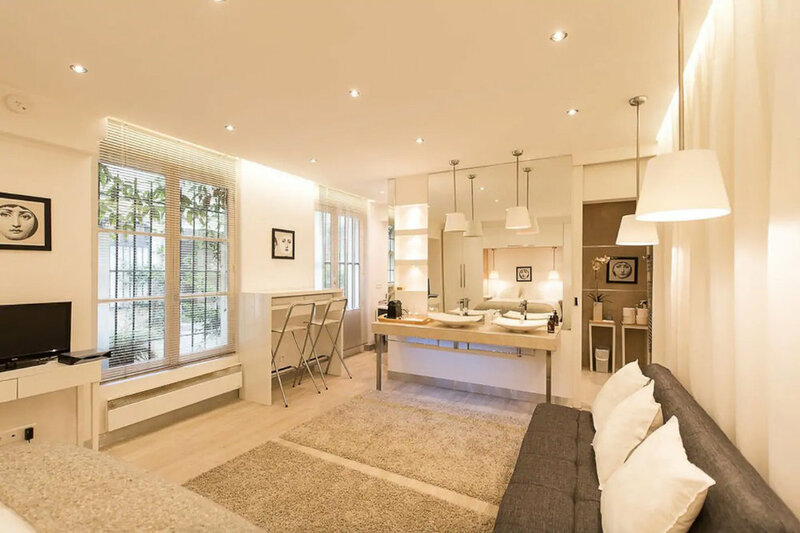 Heading to Paris and looking for a place to stay? 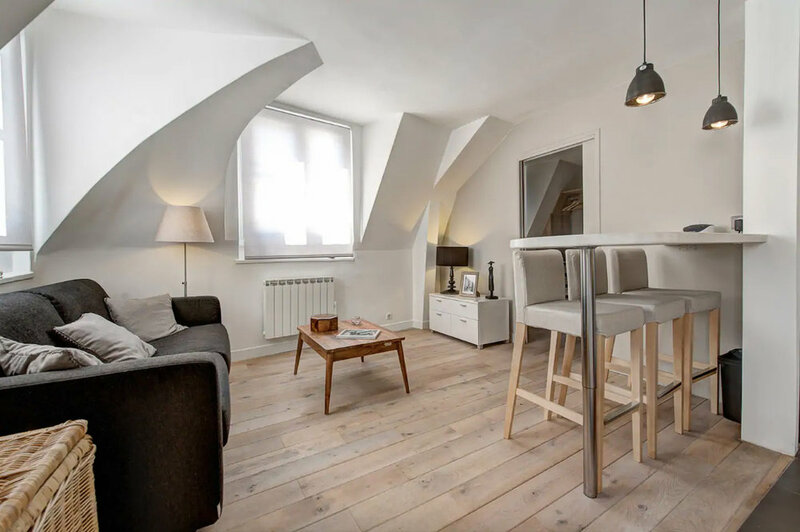 Here are some of the best Paris apartment rentals and Airbnbs in the charming neighborhood of Le Marais! Since one of my most popular blog posts ever is 8 Things You Absolutely Cannot Miss in Paris, I naturally get a lot of questions about where to stay. As you likely know, I highly recommend staying in Le Marais, my favorite Parisian neighborhood, especially at the amazing five star Le Pavillon de la Reine (full review here). But since not everyone can afford to stay there or perhaps you just prefer an Airbnb (I do sometimes, too) I have gathered some alternatives for you. 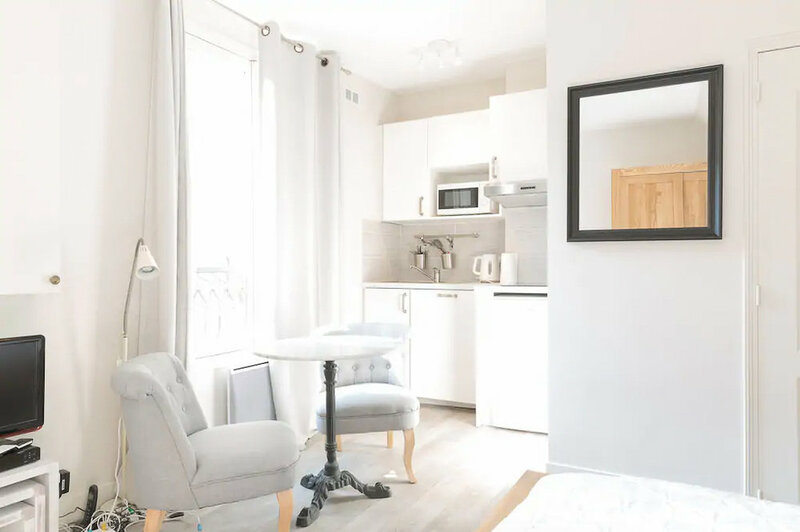 I have stayed in many Airbnbs in Paris over the years, unfortunately most of which are no longer listed on Airbnb. Because of that, the below list are ones I have vetted on the site and would personally book if I were going but I have not actually stayed in — with the exception of number 8 where I stayed last time! PREFER AN EIFFEL TOWER VIEW? CLICK HERE FOR THE BEST HOTELS AND AIRBNBS WITH EIFFEL TOWER VIEWS! COMFORTABLE SHOES. You will likely (hopefully) be doing a lot of walking so this is very important! My very favorite are these white sneakers. I literally never travel anywhere without them. More details: The Most Comfortable And Stylish Walking Shoes for Travel. Get $50 off here! CHIC BOOTS. Same as above —they must be extremely walkable! After countless years testing all over the world, my two recommendations are these (I own 5 pairs and could run a marathon in them) and these which I’m hoping to buy a second pair of! A full list of my travel shoe recommendation can be found here. WARM NEUTRAL COLORED SCARF. This oversized wool one is my absolutely favorite and comes in so many beautiful colors. Paris can get quite cold — you’ll need one! STYLISH CAMERA BAG… if you are bringing a camera! You can’t go to Paris with anything that isn’t chic ;) Since pickpocketing is a thing in Paris I bring this Christie camera backpack (named after me) because it’s hands free, has a zipper AND a buttoned flap, and fully protects my camera yet is so cute no one will ever know it’s a camera bag. A FEW PARIS THEMED THINGS. Maybe it’s the ex-sorority girl in me, but I love bringing a few themed things to Paris! Grab this beret, this inexpensive “j’adore” shirt (I own it too! ), this “pardon my french” shirt, and/or this “salut!” tee. Full packing list + free printable packing checklist: What to Pack for a Cold Weather Trip.